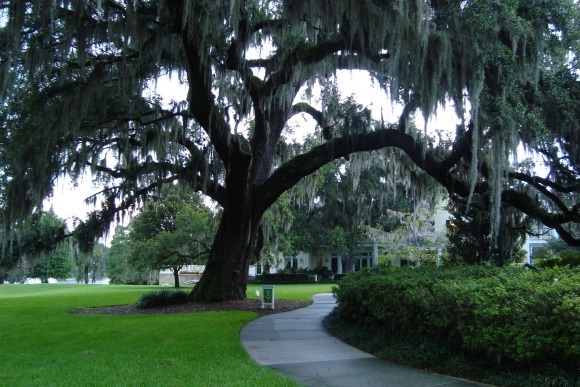 The Orlando Tree Tour is a self-guided journey to several City of Orlando parks. Orlando has one of the finest parks systems in Florida. Many of them can be reserved for private events like weddings or reunions. 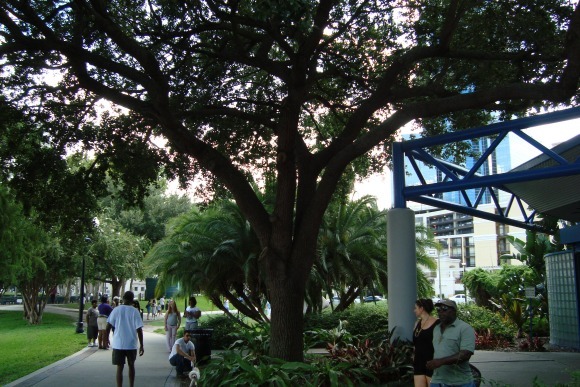 The city also prizes and protects its historically significant trees. Their "Signficant Tree Map" shows the parks that contain these trees. Each park on the tour described on our website is home to one of more of these trees. 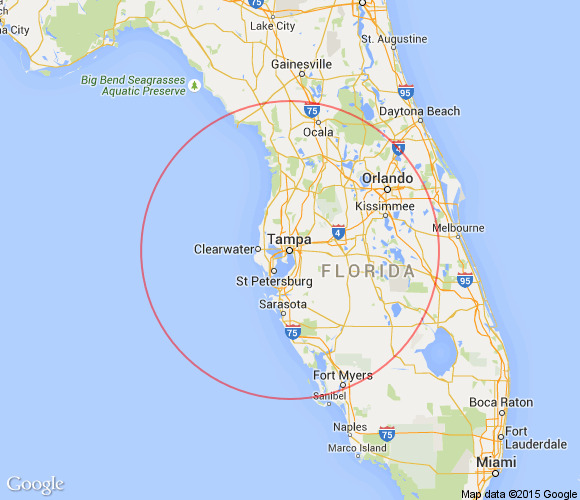 The map below from the City of Orlando shows the locations of the parks. Many of the trees are hundreds of years old; one is considered to be from 350 to 400 years old. You can see all of these trees from the air conditioned comfort of your car in about one hour. The tour begins at No. 1 on the map, and you can drive from site to site. The only location that requires an admission fee is No. 6, Harry P. Leu Gardens. 1. Mayor Carl T. Langford Park, 1808 E. Central Boulevard. 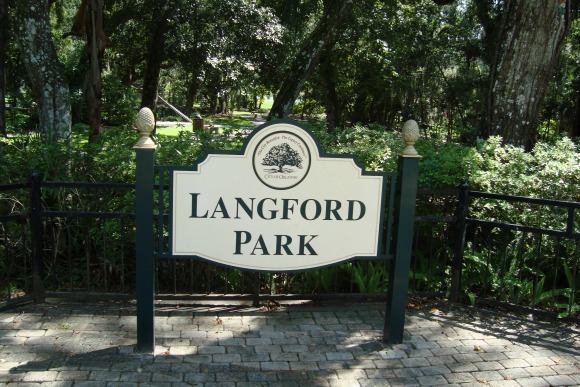 This park is very close to downtown Orlando and is loaded with many live oaks, laurel oaks and swamp chestnuts. 2. 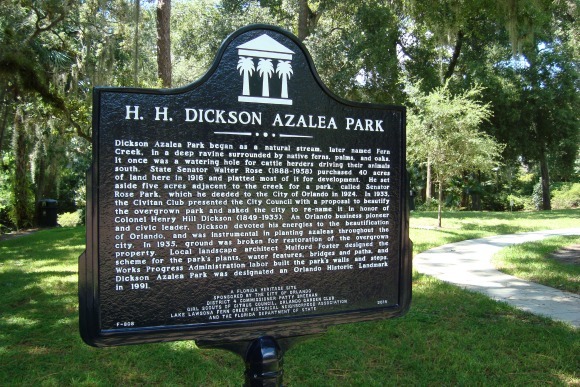 Dickson Azalea Park, 100 Rosearden Drive. This park is filled with long leaf pines that tower above the oaks along the ravine. The pines are taller than the oaks in order to be able to reach to the sunshine above the shade of the oaks. 3. Constitution Green Park, 300 South Summerlin Avenue. This is a large open grassy park, and near the center of the park is a huge oak tree with branches spreading out and touching the ground. Experts think the tree is between 125 and 175 years old. 4. Lake Eola Park, 195 North Rosalind Avenue. This is a large urban park in the middle of Orlando. The park encompasses Lake Eola, a pretty lake with a beautiful fountain in its center. 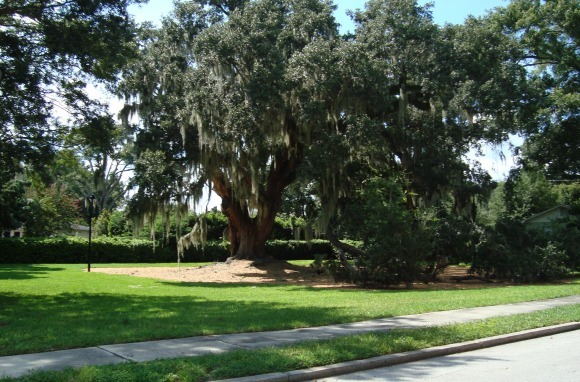 The south boundary of the park, along Central Boulevard, is lined by large live oaks. 5. Big Tree Park, 930 North Thornton Avenue. 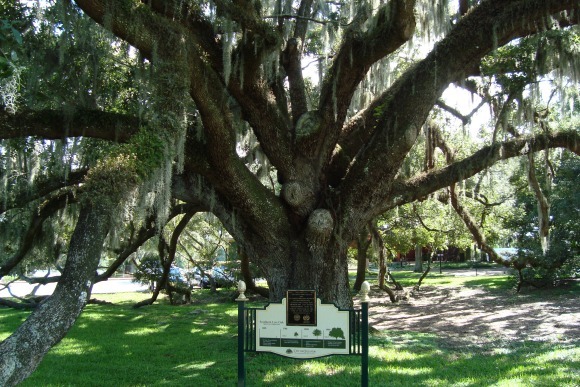 This park has what is considered to be the oldest tree in Orlando. Experts indicate the huge live oak is 350 to 400 years old. 6. Harry P. Leu Gardens, 1920 North Forest Avenue. The gardens require an admission fee. The fee is well worth it because you will see a magnificent natural setting of just about every tree that grows in Florida. Of special interest are the large camphor trees. These were brought to Florida in 1875 from Japan and China. 7. Orlando Loch Haven Park, 900 E. Princeton Street. 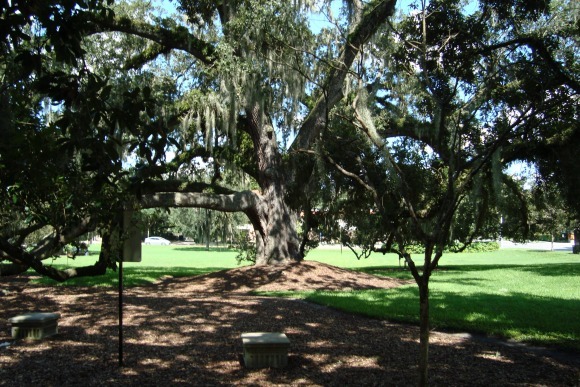 The Mayor is the 200 year old live oak that graces the center of this park. There is also lots of statuary and a museum at this location. 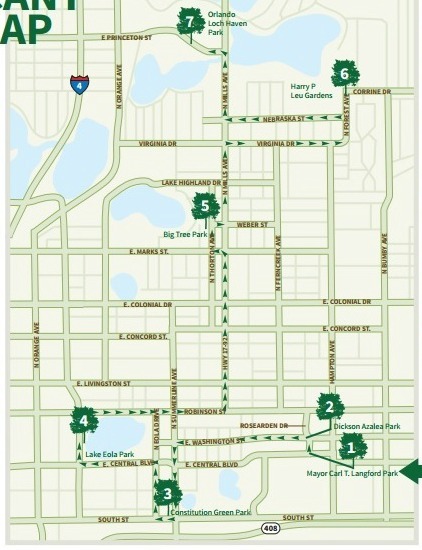 Check the City of Orlando website for more information about the Significant Tree program.